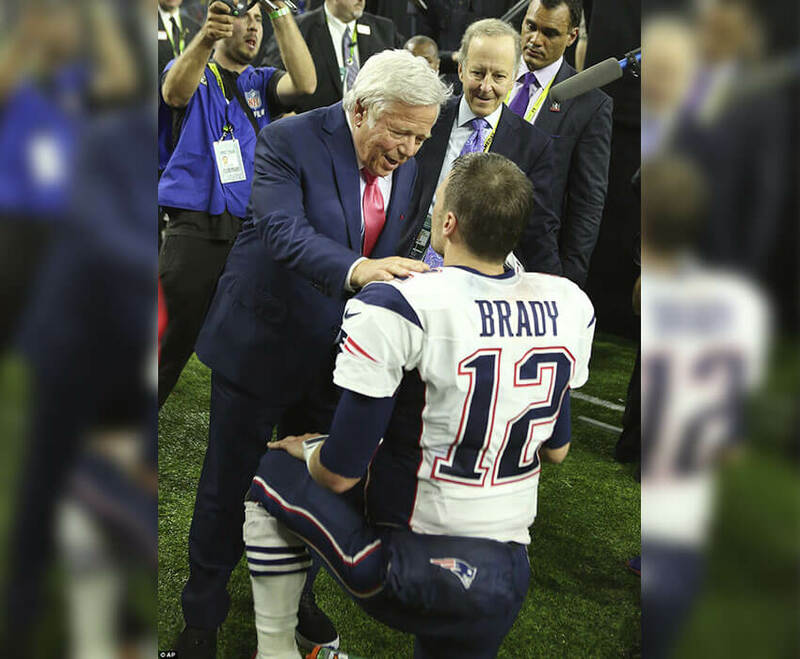 Were Brady And Belichick Feuding? Before the really controversial question was asked, reporters started with a less concerning matter. 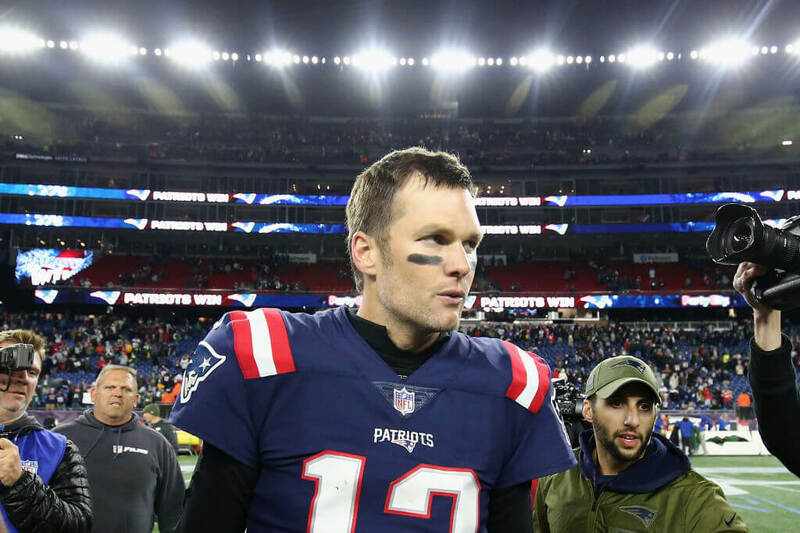 Were Tom Brady and Bill Belichick ever in a feud or even feuding at the current time? A lot of smoke came from the comments Tom Brady made in the last installment of Tom Vs. Time. Out of that segment came a moment where Brady asked himself a simple question. “What are we doing this for?” Brady said. He continued to elaborate about that statement in saying that you need to be able to have an answer to the question of whether to keep playing. Those remarks led to dozens on dozens wondering if Brady’s final year was upon us. Understandably, to be considered one of the best, you have to put in a ton of work to get there. And that’s one thing Tom Brady has done throughout his career. He’s getting a little older, and it’s almost time for him to start thinking about life after the NFL. The miraculous thing about Tom Brady is that he doesn’t seem to be slowing down in his old age. His play might not be decreasing, but retirement still looms in his mind. He’s over 40 now, and he’s admitted he thinks about calling it quits more than he used to. Spending the majority of your life playing football and making a living off of it is excellent, but there comes a time when other things in life start to matter more than they used to. Something that contributes to this is having kids in your life. 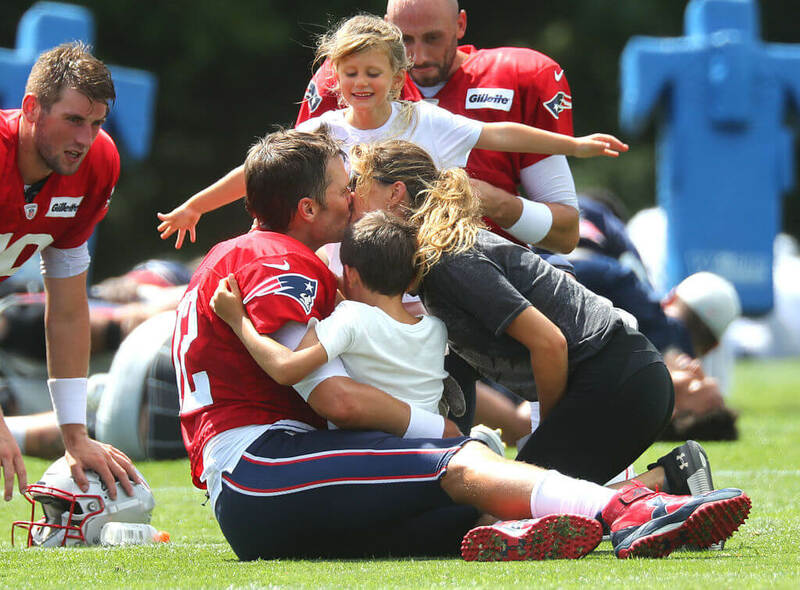 For Brady, his children gave him a new perspective. Not that long ago, the NFL implemented a new rule regarding the National Anthem. 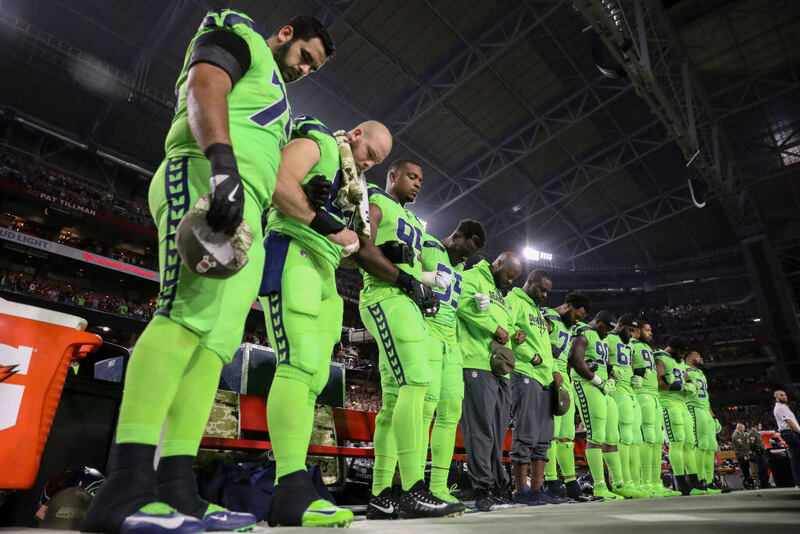 Every NFL team owner unanimously agreed that players would have to stand during the National Anthem if they were on the field. The players could each choose to remain in the locker room if they like. 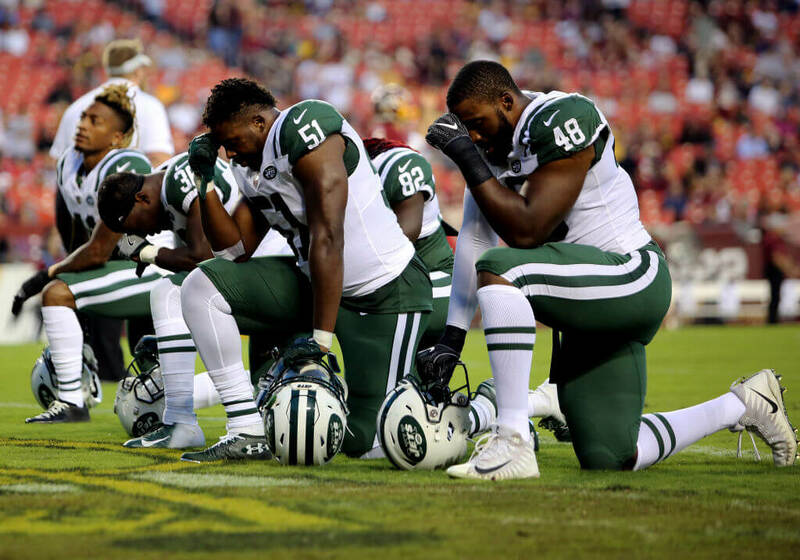 If anyone on the field were to violate this policy by kneeling or sitting, the team itself would be subjected to a fine. Then the team would have the option to fine any of the players or personnel involved. It only took two weeks for the NFL Players Association to file a grievance that challenged the new policy. 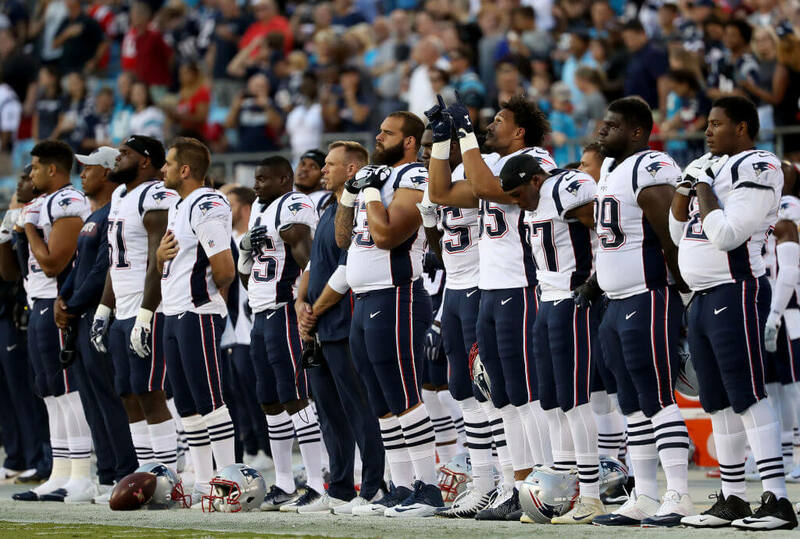 To have control over how the players act during the National Anthem seemed a little unfair to the players, so they wanted to do something about it. 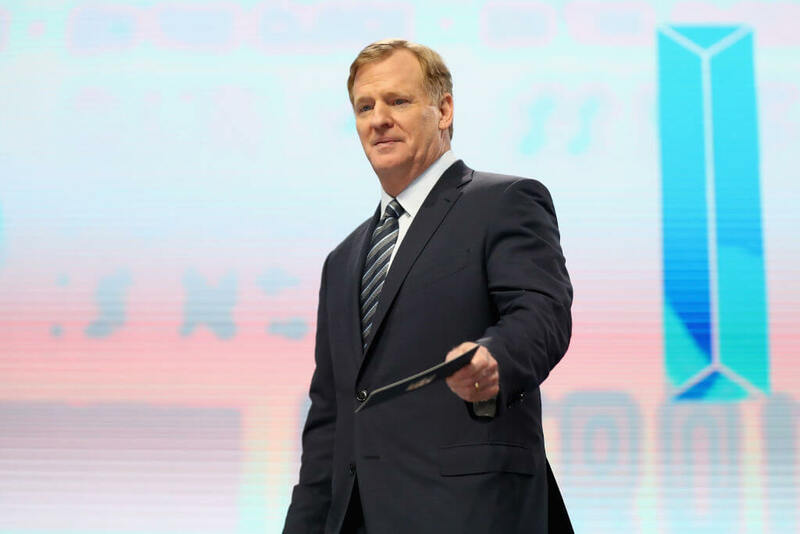 “This new policy, imposed by the NFL’s governing body without consultation with the NFLPA, is inconsistent with the collective bargaining agreement and infringes on player rights,” the Players Association said. They said the new policy gave the NFL power to indirectly punish protesting players. The Miami Dolphins were on a complete power trip after the NFL announced the new rule. They said they would give a four-game suspension to anybody who went against the policy. The season is only 16 games, so that’s a fourth of their playing gone. People criticized this move tremendously. There were times when players broke the NFL’s domestic violence policy and received much less of a punishment. This made the NFL look very hypocritical. The most significant change to the National Anthem policy was that there would no longer be a policy in place, for now. The NFLPA and NFL announced that were working endlessly to come up with a solution to this massive issue they have on their hands. There would be no new rules surrounding the anthem issued or enforced until an agreement between the NFLPA and NFL was made. All of this was fantastic news for the players protesting. When reporters asked Tom Brady about his thoughts on the situation, he gave a well-calculated answer. It was almost like he wanted to stay neutral on the topic because he knew players and people who supported both sides of the argument. 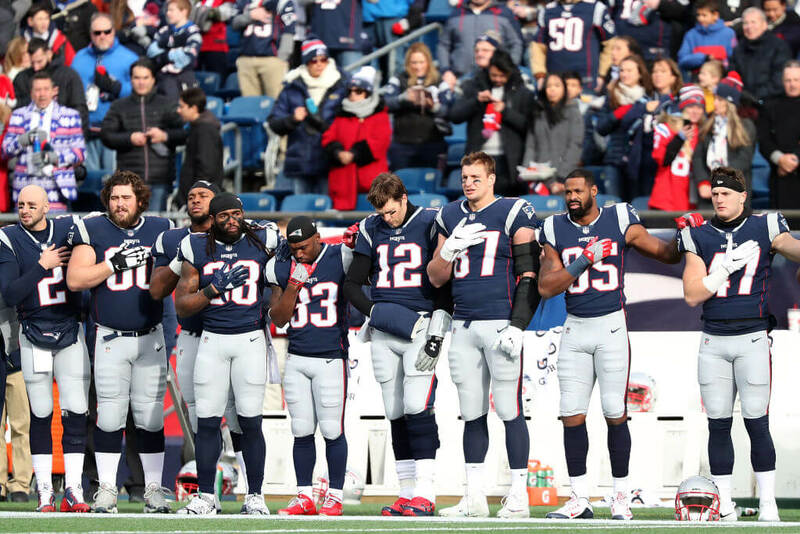 Brady said the controversy called for “a lot of good healthy conversations … in our locker room. We had meetings after practice talking about how we wanted to deal with that particular situation.” Then things got more interesting. 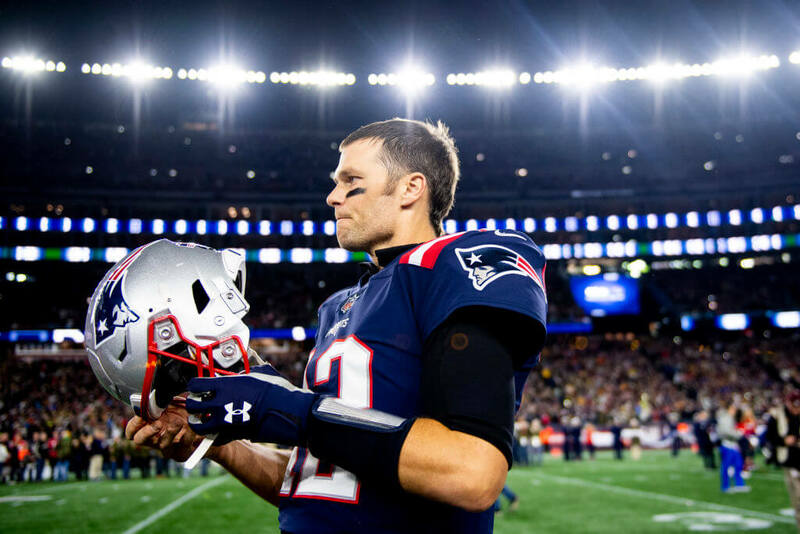 Tom Brady might not be the most liked player in the league, but his response to the kneeling situation was a very noble one. It showed that he doesn’t entirely only care about his own ego and that he pays attention to important issues. “I’ve been playing sports long enough [to know] everyone comes from something different, and I think showing respect for everybody, in a locker room, with a team of guys trying to go in the same direction — you better have that empathy for everybody. They can do things for their reason, and you have respect for that. But, I thought it was great.” Brady said. This kneeling ordeal sent Donald Trump into a frenzy. Trump called for any player who participates in that to be suspended or fired. This prompted Brady to respond about those remarks. 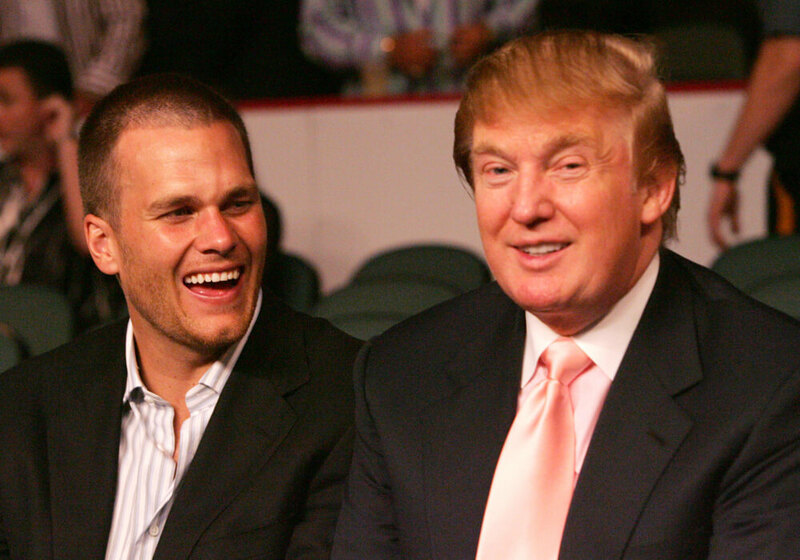 The two are friends, but Brady’s comments didn’t coincide with Trump’s beliefs. For those who are old enough or are well informed, 1968 was the year we first really saw athletes “turn their backs” on the National Anthem. 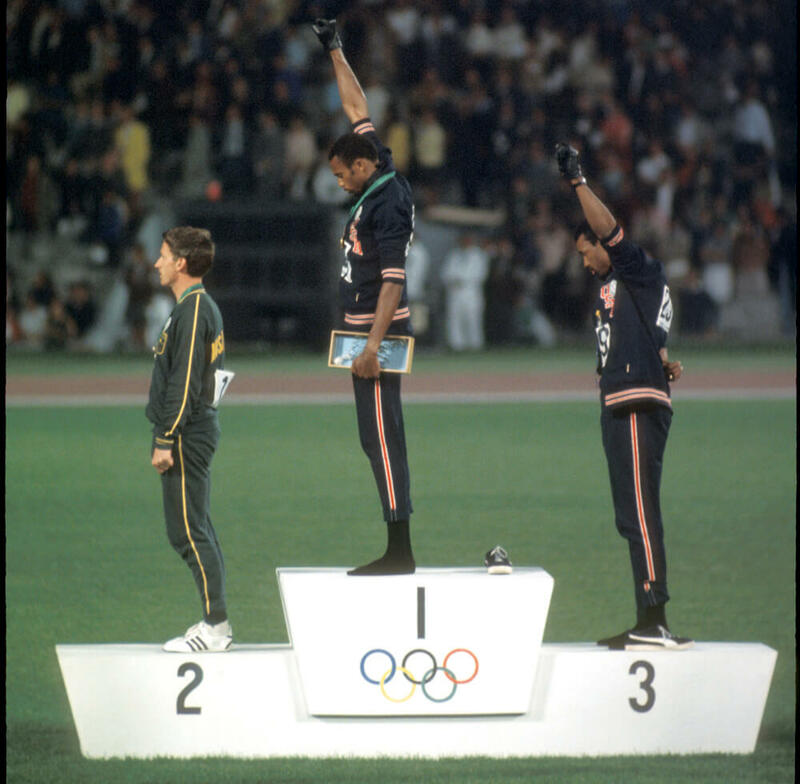 When Tommie Smith and John Carlos won gold and bronze at the Olympics, they took a stand. During the medal ceremony, Smith and Carlos made a statement by placing their fists in the air. Many thought it was a “Black Power” move, but Smith later confirmed in his autobiography it was about human rights. 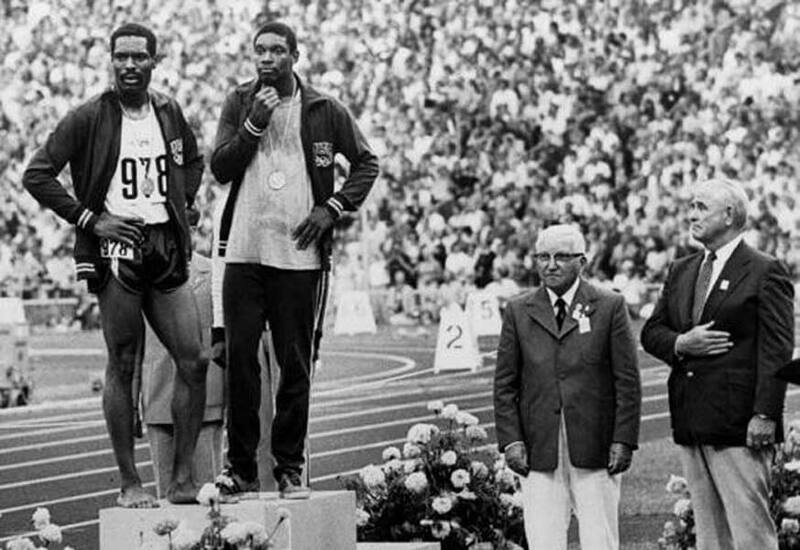 A few years later, Vince Matthews and Wayne Collett won gold and silver in the 400m race. 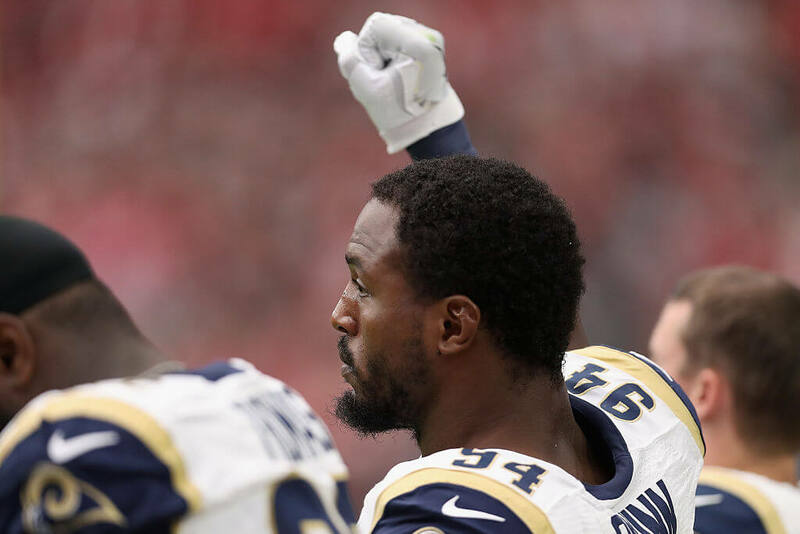 When the National Anthem began to play, both performed one of the most casual protests ever. Their jackets unzipped, backs turned, and their hands were on their hips while talking to one another. After the singing completed, Collett put his fist in the air. He got asked about it later, and he said he couldn’t honor the anthem because he didn’t believe the words in the song. Both men ended up banned from future Olympics. 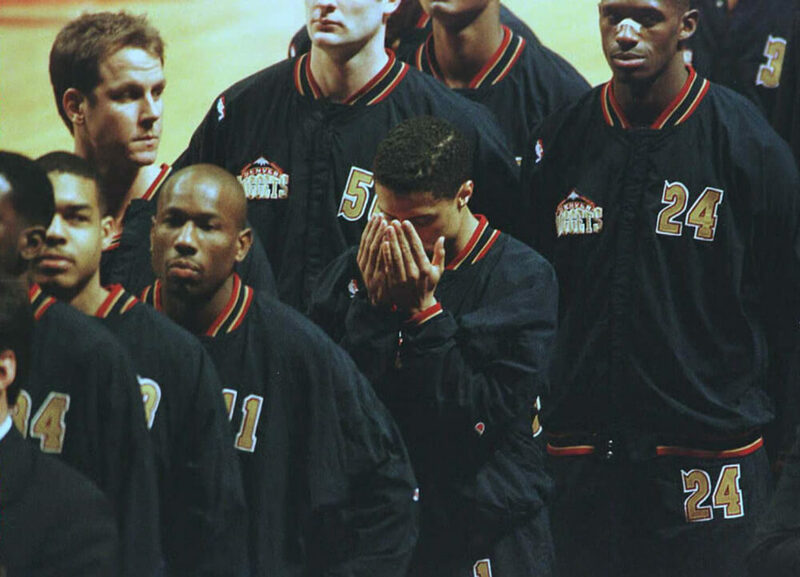 In the 1995-96 NBA season, Mahmoud Abdul-Rauf, a player for the Denver Nuggets, chose not to stand for any National Anthem. He thought that flag symbolized oppression and America’s history of tyranny wasn’t anything he was going to support. The NBA suspended him, and it would cost him more than $30k per game. They eventually made an agreement to where Mahmoud would stand but was able to look down with his eyes closed (as seen in the picture). 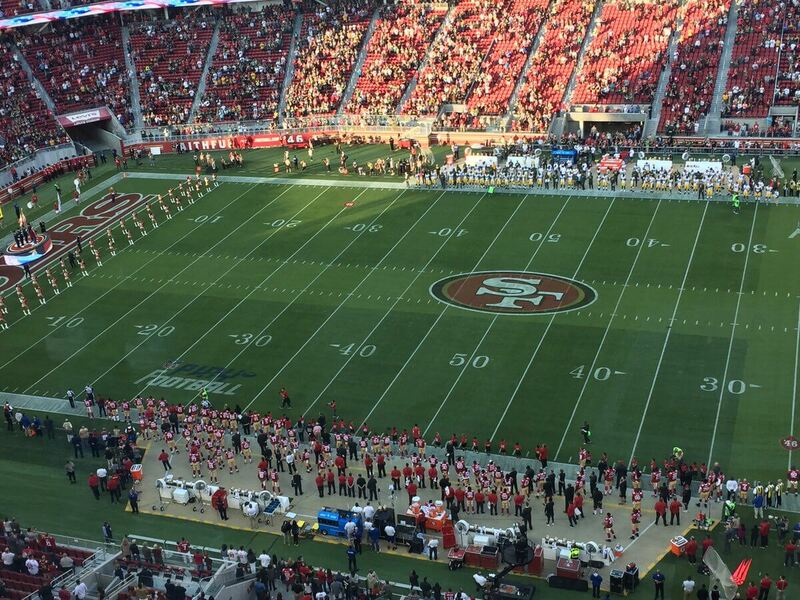 On August 26, 2016, a reporter for the 49ers, Jennifer Lee Chan, tweeted a photo of the Packers and 49ers while the National Anthem was going on. Something she didn’t notice was Colin Kaepernick sitting down behind everyone else. She only referenced in a joking manner that the coach of the 49ers wouldn’t approve of the formation. The picture would soon go viral once people started noticing that Kaepernick was sitting in full uniform during the song. It makes sense why no one could see Kaepernick sitting down. The picture was from overhead and captured the whole field so it would be hard to spot out the one person having a seat during the anthem. After you blow up the photo, however, there he is. 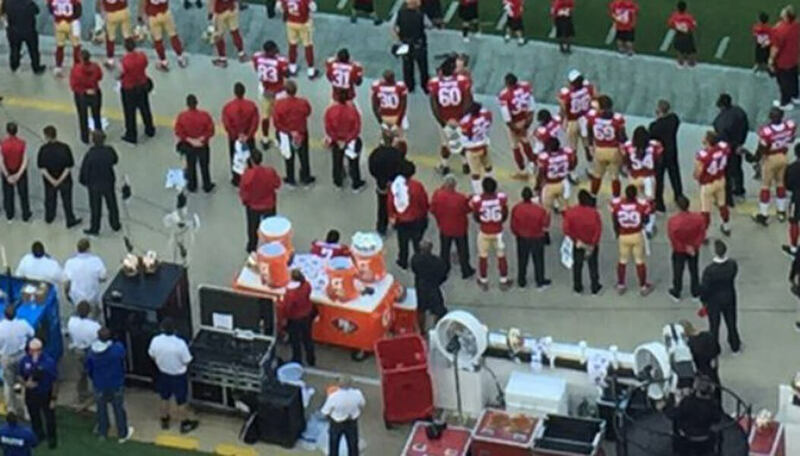 Kaepernick protested two games before the third preseason game. In those games, he wasn’t playing so he wasn’t entirely suited up. When he had on full pads this game, it made it easier to spot out sitting player. That was the response Kaepernick had for reporters on August 28. It was like he was channeling his inner Tommie Smith and other legendary Olympians who stood for what they believed in was just. A few days later, Kaepernick took his protesting up a level. 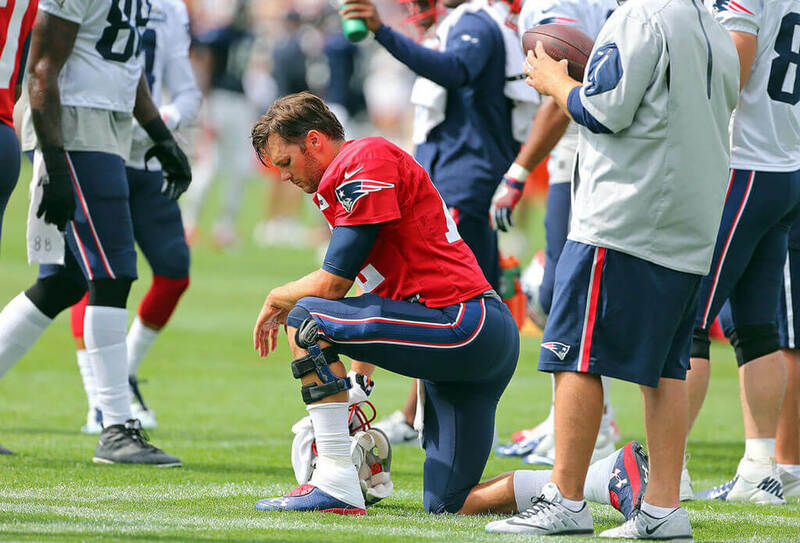 September 1 marked the day he began kneeling instead of sitting. He wanted people to know he wasn’t anti-military and wasn’t protesting to disrespect any troops. This was also the first time another person decided to join him in his actions. Teammate Eric Reid stepped up to the plate to show support to his quarterback. Once the game ended, Kaepernick pledged to donate $1 million to charities that tried to fix racial issues. 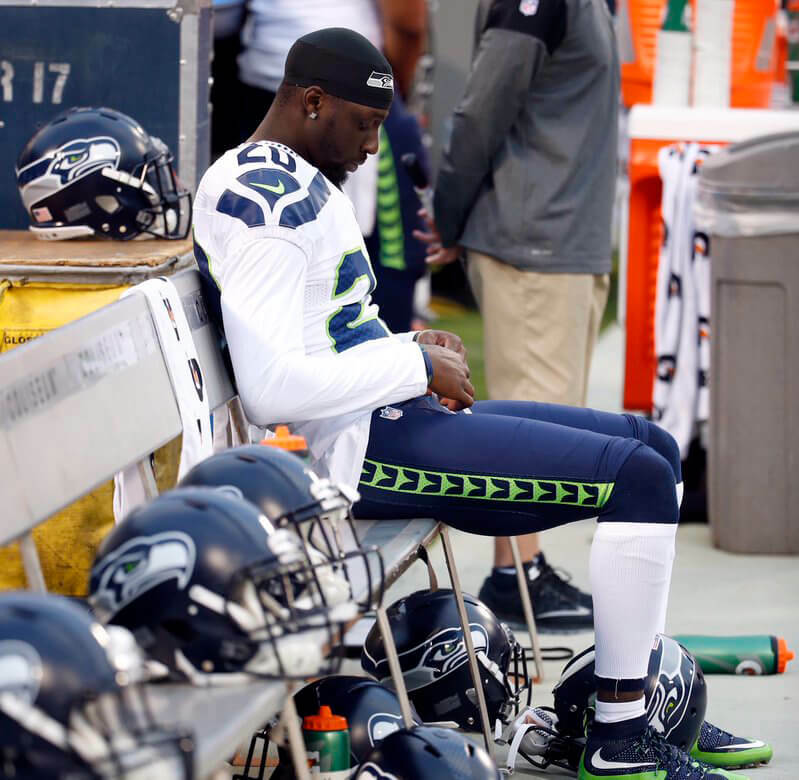 That same day, Seattle Seahawks player Jeremy Lane chose to sit down during the anthem as well. He was the first non 49er player to do so. Kaepernick was already making an impact on the league, and everyone was slowly taking notice. 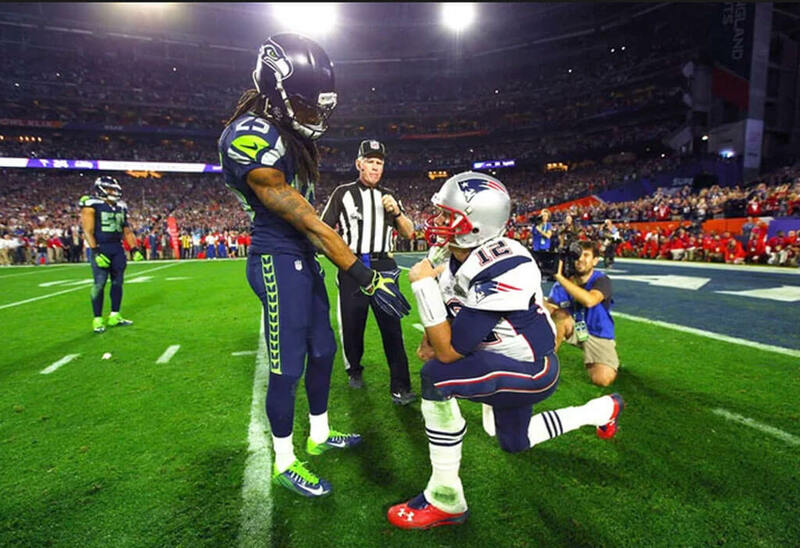 Lane’s actions came moments after Kaepernick and Reid knelt. His response to why he did it was a simple one. He said that he was sticking up for Kaepernick and would continue to do so until he felt justice was served. 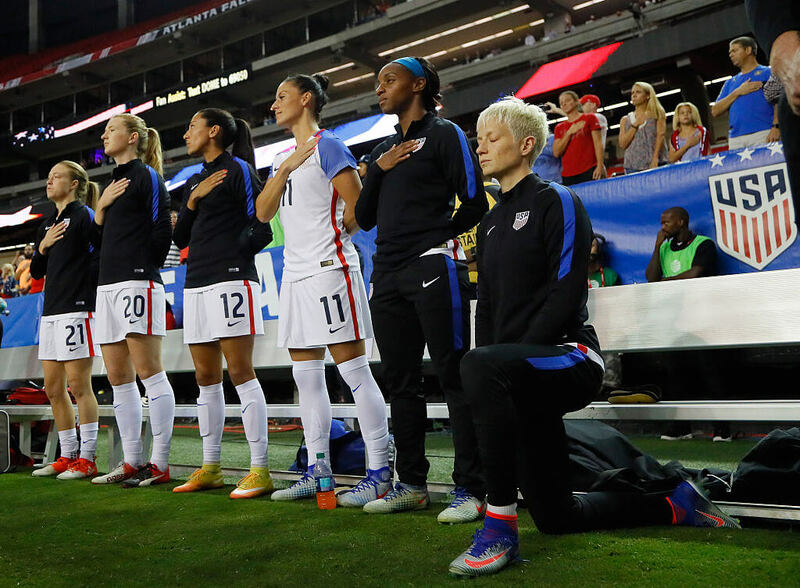 Three days after the Seattle player did what he did, Megan Rapinoe of the Seattle Reign made headlines after she knelt during the National Anthem. She was the first non-NFL player to join the cause. And what made it even more interesting was that she wasn’t heterosexual. When Rapinoe got asked about it, she said as a non-straight American, she knew how it felt to see a flag that didn’t protect all of her liberties. She also said it was imperative for Caucasians to support the causes of people of color. As the news spread over what these players were doing, more and more started to get involved. On September 9th, Brandon Marshall from the Denver Broncos joined the hype as well during the first game of the season. He played college football with Kaepernick during their time at the University of Nevada. “I’m not against the military,” Marshall stated. “I’m not against the police or America, I’m against social injustice.” As a result of his actions, he lost sponsorships with two different companies in Colorado. September 11 came around, and it was the first NFL Sunday of the 2016 season. By the date, you already know it was an important day already. This was the 15th anniversary of the attacks in New York, so the National Anthem meant a little more that day. The September 11 events didn’t end there, however. That day also saw two teams have their players link arms during the song. As more and more started to get involved, it spread like wildfire. Kaepernick had started an epidemic. Players from the Kansas City Chiefs and Seattle Seahawks linked arms with Marcus Peters of the Chiefs stood at the end of the line and put his fist in the air. He proclaimed that he was aligned with Kaepernick’s effort to raise awareness. We’ve gone over how Tom Brady felt about this whole ordeal. He’s supportive of the cause, even if it means his teammates are involved. 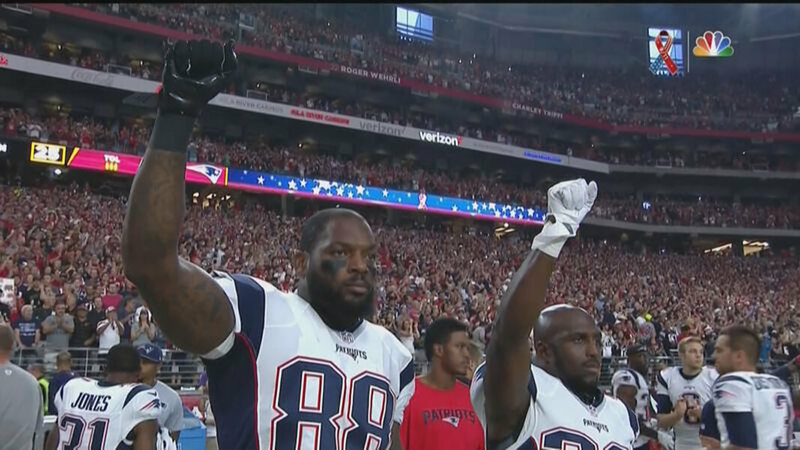 Before Sunday Night Football, his teammates Martellus Bennett, and Devin McCourty raised their fists during the anthem. That Monday night, the 49ers played the St. Louis Rams, and all eyes were on the player in red. In an exciting turn of events, players from the Rams elected to show their support on live TV during Monday Night Football. 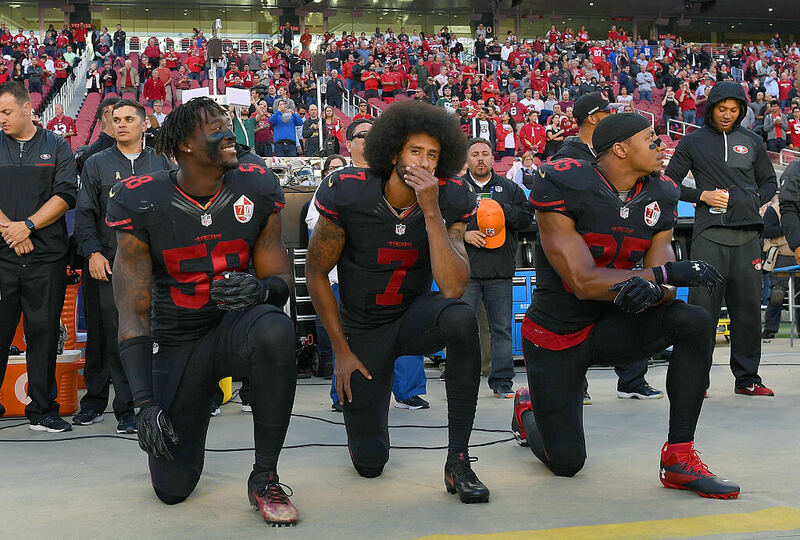 While Kaepernick and Eric Reid were kneeling, two of their teammates stood behind them with their fists raised. A week later, Kaepernick was still up to his tricks even though he had received numerous threats. The general public wasn’t very pleased with his antics as he would get a ton of hate messages all over social media. His sponsorships were dwindling down also. 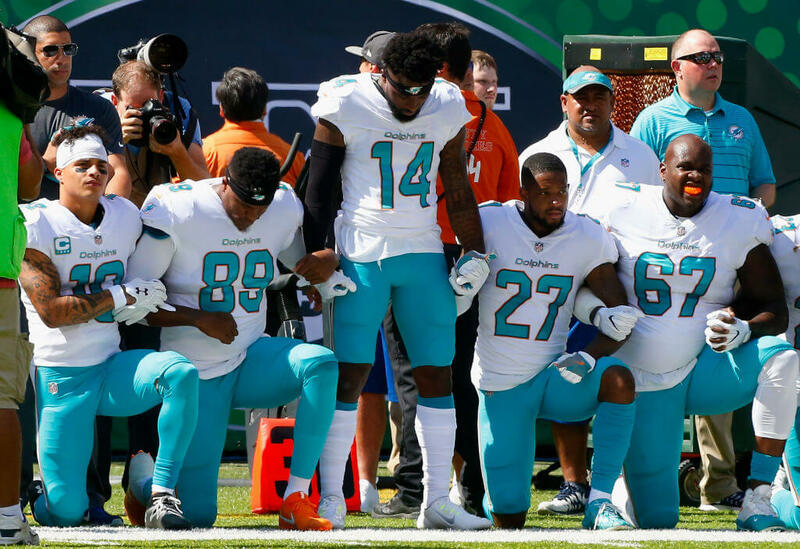 All the while, Arian Foster, Michael Thomas and Kenny Stills of the Miami Dolphins still supported the cause as they knelt before their game against the New England Patriots. What could happen next? 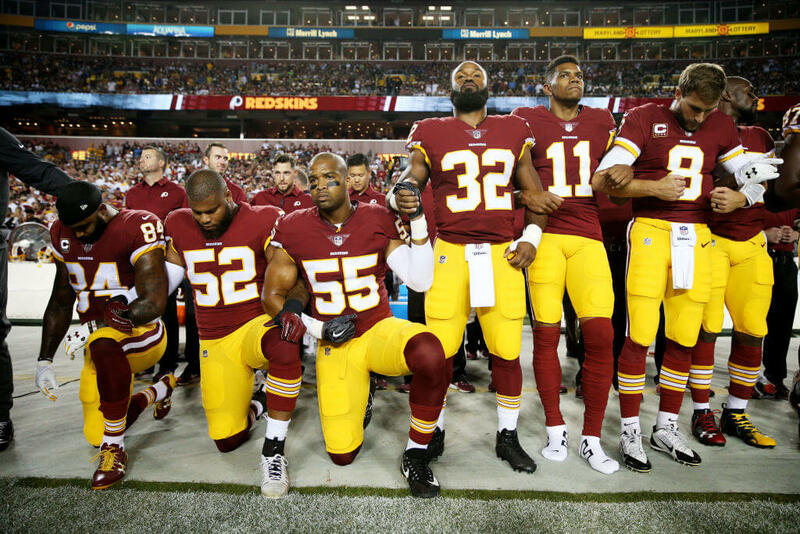 If you’ve been keeping up with the trend, more and more players on different teams were hopping on the protesting bandwagon with Kaepernick. It was a controversial decision, but players knew what they were getting into when they showed their support. At this junction, fines were the most significant penalties and losing sponsorships, but the money could come back. Doing what was right was more important to players. 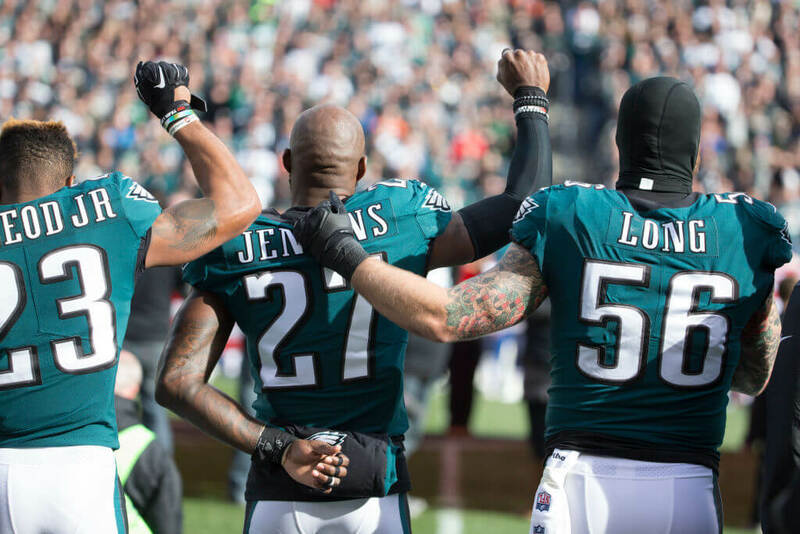 Philadelphia Eagles’ Malcolm Jenkins, Steven Means, Ron Brooks, and Marcus Smith all raised their fists during the anthem on September 19. 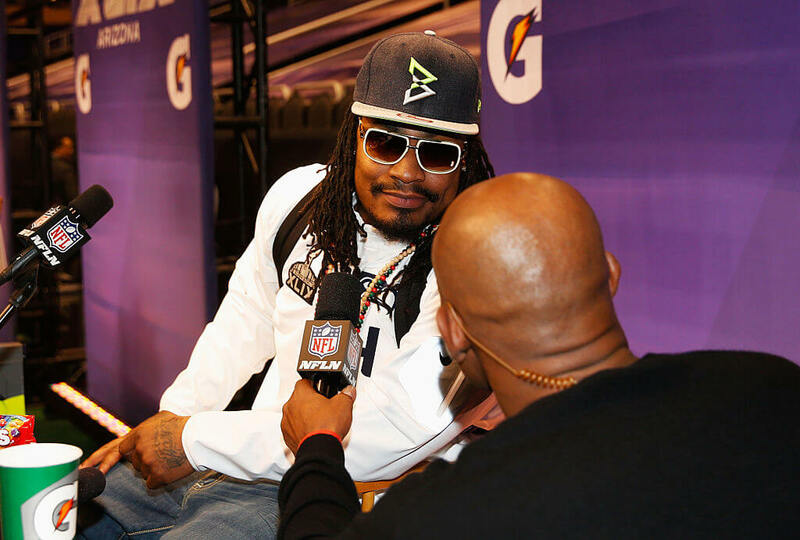 If you’re a football fan than you are aware of Marshawn Lynch’s history of being outspoken. And when he doesn’t feel like talking, he just doesn’t or tells you what you want to hear. When it came to the kneeling debacle, he had a perfect response. 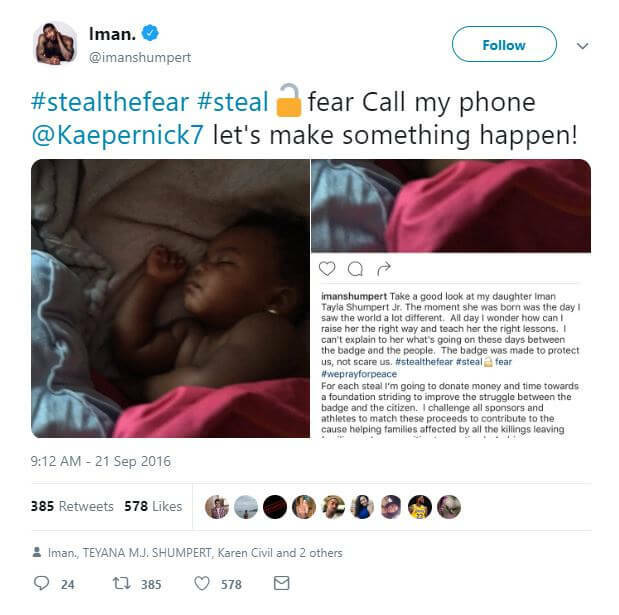 NBA champion and Sacramento King’s guard, Iman Shumpert inserted himself into the kneeling dilemma. 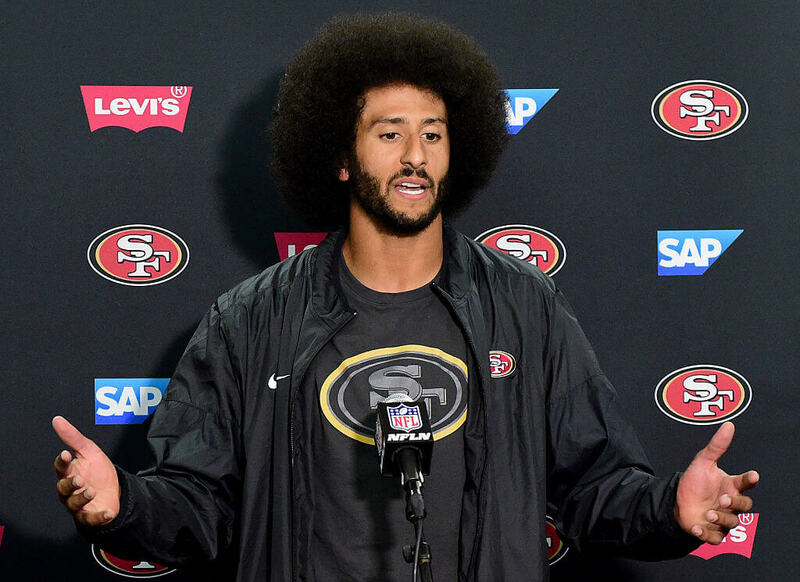 A day after Lynch’s remarks, Shumpert took to Twitter and mentioned Kaepernick. He posted a photo of his then-newborn baby, Tayla, and vowed to donate money for every steal he got in games. He wanted the money to go to organizations that focused on bettering the relationships between the cops and the communities they’re in. He had support for Kaepernick but said he would not be kneeling because he thought that wasn’t the answer. Now it seemed like the whole sporting universe was taking part in the noble cause. Not just the football or soccer players, two of the biggest sports in the world, but also the WNBA got involved in this journey. 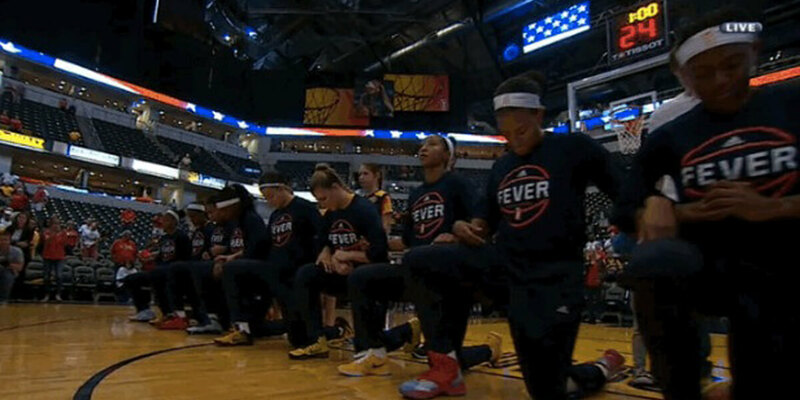 The Indiana Fever chose to show their support before their first playoff game. The players locked arms and took a knee during the anthem. It was a powerful scene and show of support. Their coach, Stephanie White, expressed that she was more than proud of her players for sticking together. 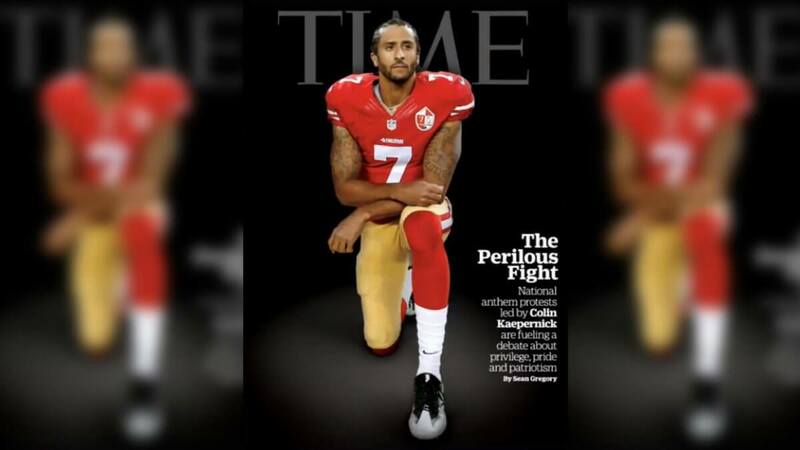 On September 22, everyone following the Kaepernick situation was shocked by what Time Magazine did next. That was the date they announced that Kaepernick would be the cover of their October 3 issue. The cover showed Kaepernick, fully uniformed, and taking a knee. 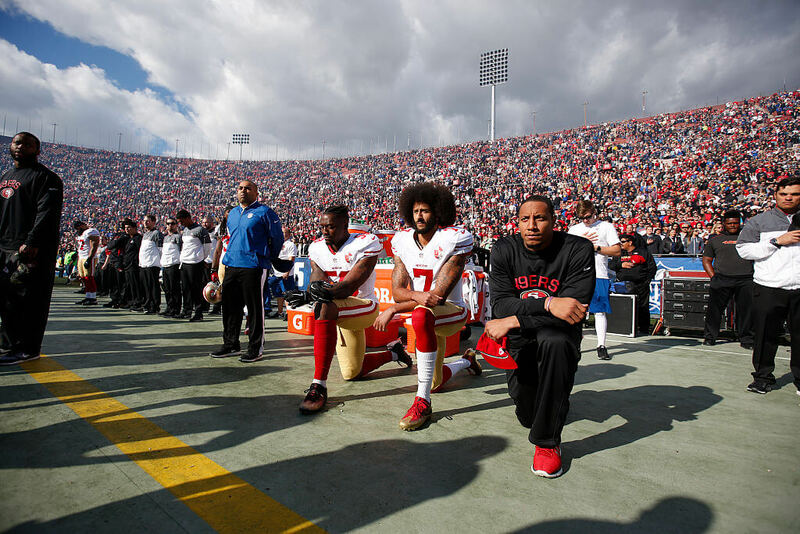 The feature by Sean Gregory took a deeper dive into how Kaepernick ignited a nationwide conversation in the world of sports about pride, privilege, and patriotism. Those who didn’t support Kaepernick were baffled by this. With Houston already being a blue city in a red state, this move by their players was bold. 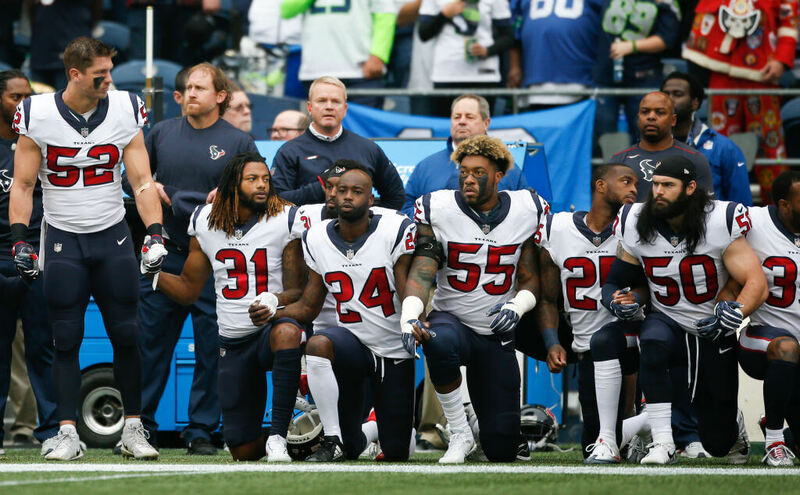 On the day Time announced Kaepernick was to be on the cover of Time, Houston Texans’ players did their best kneel job. While it was going on, high-profile player Duane Brown decided to raise his fist like many others before him. He wasn’t even suited up to play due to injury, but he still wanted to show his support to Kaepernick. 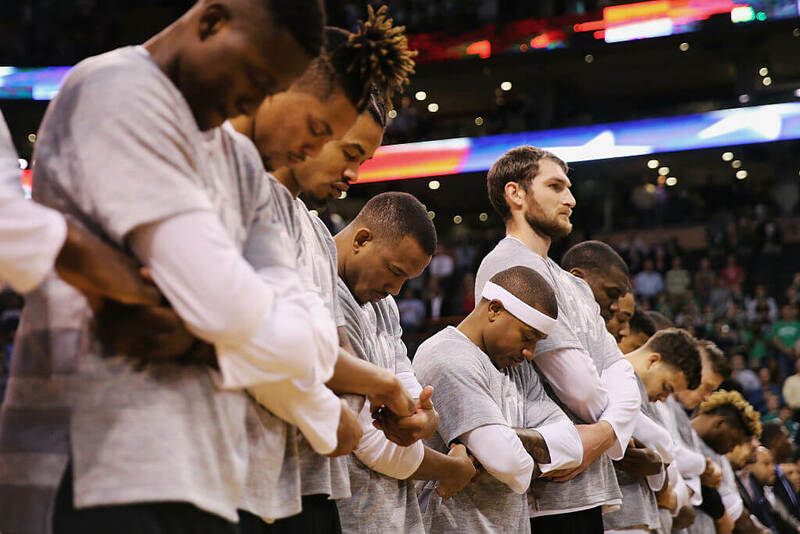 On October 4, during the first preseason game of the year, NBA players elected to join the movement. Players from the Houston Rockets and New York Knicks stood together while they joined arms during the anthem. The Boston Celtics also played a part in this. They chose to hold hands with their heads down. They were inspired by the 1961 Boston Celtics team who did the same while protesting the racial tension during their time. 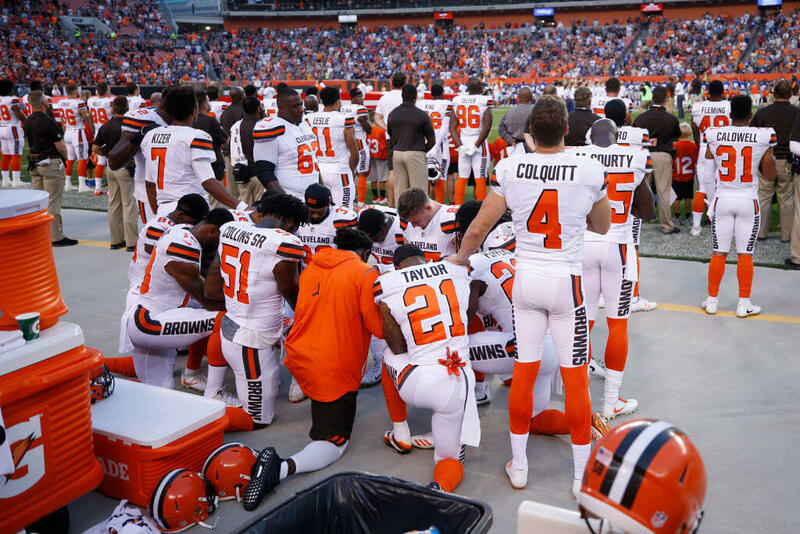 More than a year had passed since Kaepernick first protested and the Cleveland Browns made the spotlight hover over them. Tight end Seth Devalve knelt with a few other of his teammates during the anthem. What was so special about this one? Devalve was the first Caucasian player in the NFL to kneel during the National Anthem. 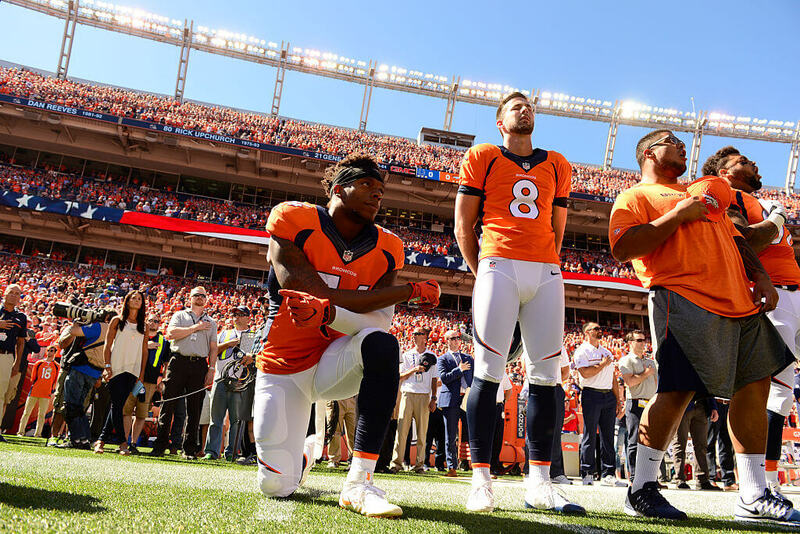 Another Caucasian player, Britton Colquitt, chose to show his support when he placed his hand on the players who were kneeling.